Tag Archive | "pelgrane press"
In the TimeWatch RPG, your band of TimeWatch agents defend the timestream from radioactive cockroaches, psychic velociraptors, and human meddlers. 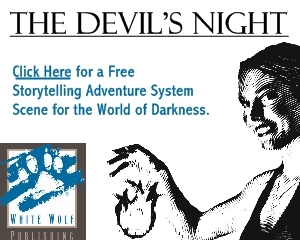 Go back in time to help yourself in a fight, thwart your foes by targeting their ancestors, or gain a vital clue by checking a scroll out from the Library of Alexandria. But watch out for paradoxes that may erase you from existence… or worse. If you’ve ever dreamed of going on world-changing adventures from the age of the dinosaurs to the end of the universe, the TimeWatch RPG is for you! The flamboyant artist Edward Bigsby pays a call to the Investigators on the recommendation of a mutual friend, but dies horrifically before he can tell them what he needs. Soon afterward, the police question the PCs – another corpse matching Bisgby’s description has been found, with their address in his coat pocket. It does not end there; dead Bigsbys are being found all over London. Follow the trail of Bigsbys through the bohemian streets of crime-filled 1930s Soho, dodging Chinese triads, Dope Kings, and the Metropolitan Police force to find out once and for all who Edward Bigsby is, and why he keeps dying. Friday the 13th Age Sale from Pelgrane Press! 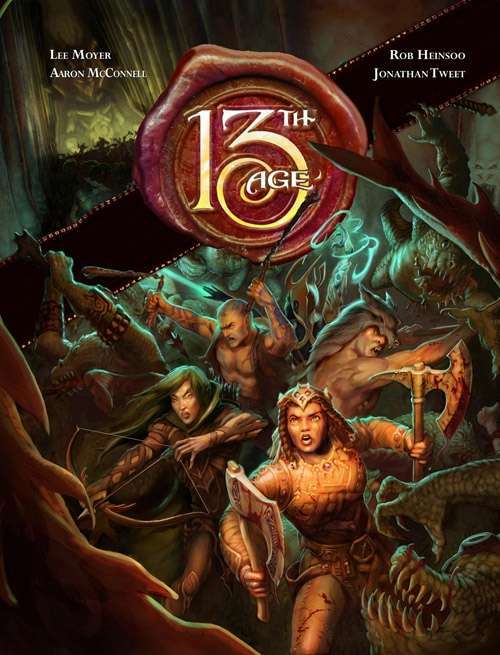 Celebrate Friday the 13th with a sale on all 13th Age RPG eBooks and Soundtracks from Pelgrane Press! 13th Age combines the best parts of traditional d20-rolling fantasy gaming with new story-focused rules, designed so you can run the kind of game you most want to play with your group. Created by Rob Heinsoo and Jonathan Tweet, 13th Age gives you all the tools you need to make unique characters who are immediately embedded in the setting in important ways; quickly prepare adventures based on the PCs’ backgrounds and goals; create your own monsters; fight exciting battles; and focus on what’s always been cool and fun about fantasy adventure gaming! The magic of bestiaries, or dictionaries of mythological creatures, has been captivating the human imagination since ancient times. Now, Stone Skin Press brings a fresh take on these compendiums of the fantastic with its latest anthology—Gods, Memes and Monsters. Featuring over sixty authors, this stunning international volume offers entries and short stories that range from the horrific to the humorous. The bestiary shed lights on familiar beasts that are coping in our modern era, including gorgons, minotaurs, and mantichores. It also introduces newly discovered creatures such as meme mosquitoes, trashsquatches, and urbantelopes that are thriving in the cyber age. A new edition of Stoker’s novel that tells the real story; and an improvised spy thriller campaign for Night’s Black Agents RPG. The more you discover, the more the Mythos infects your mind. Your friends cannot be trusted, your knowledge means nothing, and everything you hold dear turns to dust. The Final Revelation collects for the first time the four sanity-destroying Purist adventures for Trail of Cthulhu written by award winning RPG writer Graham Walmsley. With a framing scenario by Scott Dorward, The Final Revelation gives your Investigators the opportunity to play through a Purist campaign set in the United Kingdom of the 1930s where there is no escape, no comfort and no salvation when faced with the Mythos. Your Investigators are powerless and insignificant; your only choices death, insanity or a quiet life with a shattered mind. 13th Age Bestiary Now Available! Because we made it so easy to create your own monsters in 13th Age, we had to make the creatures in this book truly amazing; so we designed cool and unexpected mechanics for each creature that bring something truly new to the game, and story options that can serve as the starting point for a single adventure or an entire campaign. Don’t embrace the darkness. Fear it. The Gothic is the most enduring literary tradition in history, but in recent years friendly ghosts and vegetarian vampires threaten its foundations. The New Gothic is a collection of short stories which revisits the core archetypes of the Gothic – the rambling, secret-filled building, the stranger seeking answers, the black-hearted tyrant – and reminds us not to embrace, but to fear the darkness. 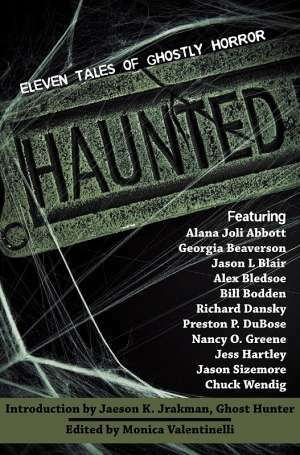 A dozen tales of terror fill this anthology including an original, never-before-seen story from the godfather of modern horror, Ramsey Campbell. Flames Rising is pleased to present a selection of excerpts from this collection. The New Gothic & Schemers from Stone Skin Press available now! The New Gothic is a collection of short stories which revisits the core archetypes of the Gothic – the rambling, secret-filled building, the stranger seeking answers, the black-hearted tyrant – and reminds us not to embrace, but to fear the darkness. You’ve got a time machine, high-powered weapons and a whole lot of history to save. Welcome to TimeWatch! Your partner draws her pistol, checks the historical record on her holographic tether, and frowns. “Looks like the Khan never died of alcoholism,” she says, “Let’s find whoever decided to save his life. We head back five years to Karakorum, in 1241?” You nod and fire up your autochron. Purple chronal energy snaps into shape around you, and once again you’re whirling through time, headed back to save history and the future of humanity. With all the Conspiracies, the intrigue, the danger, it’s hard to know what exactly is and isn’t on your side. When every shadow from the back alleys of Bucharest to the back benches of the parliament could hide an inhuman enemy, it’s hard to tell what solid ground you can stand on. What can you depend on? Can you make a difference? Trust no one and nothing except the silver bullets in your Glock. To make a difference, aim true. Even then, sometimes that first shot isn’t a killer. Sometimes you need a double tap. Night’s Black Agents: Double Tap is available now in PDF format at the Flames Rising RPGNow Shop! The Esoterrorists 2nd Edition PDF Available Now! You are elite investigators combating the plots of the Esoterrorists, a loose affiliation of occult terrorists intent on tearing the fabric of the world. The Esoterrorists 2nd Edition introduces the GUMSHOE rules system, which revolutionizes investigative scenarios by ensuring that players are never deprived of the crucial clues they need to move the story forward. 13th Age RPG from Pelgrane Press! Discover the d20-rolling fantasy roleplaying game from legendary designers Jonathan Tweet and Rob Heinsoo! This bookmarked PDF gives you everything you need to play epic adventures in a world where mighty Icons war and scheme in a tense balance of power. Here, a small band of adventurers could be heroes that save the ancient Dragon Empire—or set in motion the catastrophe that ends the Age.